This small insect can create big problems in apples and other fruits across the United States. 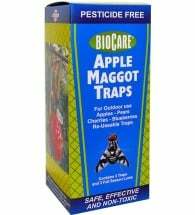 Learn safe, natural and organic solutions to get rid of apple maggots here. 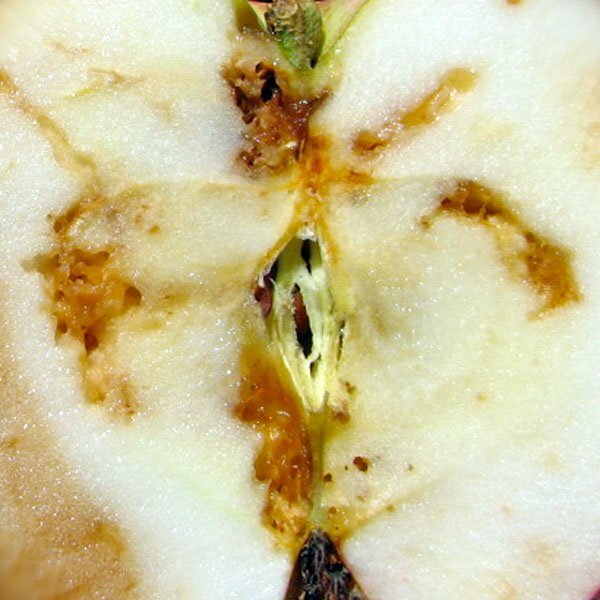 A destructive pest of commercial and backyard orchards across North America, apple maggots (Rhagoletis pomonella) ​​will also attack plum, apricot, pear, cherry and hawthorn.​ ​Contaminated fruits often ​show​ small pinpricks or pitted areas ​on the apple surface ​​with brown or rotten trails running throughout the flesh. If trees are neglected, 100% of the crop can be wormy rendering the fruit unfit to eat and suitable only for livestock feed. Slightly smaller than a housefly, adult apple maggots​ ​are 1/5 inch long and have conspicuous black bands — resembling a W — running across their transparent wings. The larvae (1/4 inch long) are white, tapered maggots that tunnel throughout the flesh of fruit.​ ​Sometimes called railroad worm​s​, they ​may be​ found in large numbers and ​will​ quickly reduce a beautiful apple to a brown, pulpy mess. Apple maggots overwinter as pupae in the soil. Adult flies emerge in late spring and begin to lay eggs just under the apple skin. The eggs hatch, and the larvae begin to tunnel through the fruit. When mature, the maggot leaves through a small opening made in the side of the fruit and enters the soil. One or two generations per year. Most maggots leave the fruit several days after it has fallen from the tree. As a result, a certain level of control can be achieved by picking up and discarding the dropped apples. Red Sphere Traps will greatly reduce damage and work well to capture and reduce the number of egg laying adults. Traps should be placed within the canopy just as trees are finished blooming. Hang spheres high in the brightest areas of the tree, 6-7 feet from the ground. Set out one trap for every 150 apples (2 traps per dwarf tree). Beneficial nematodes are microscopic, worm-like parasites that actively hunt, penetrate and destroy the pupal stage of this pest. 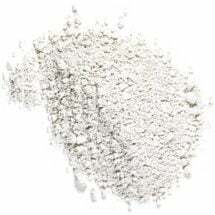 For best results, apply in the early spring or fall around the base of trees, out to the drip line. One application will continue working for 18 months. 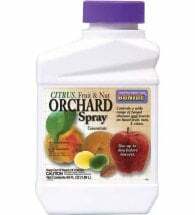 Surround WP — made from kaolin clay — will suppress a broad range of insects and has shown over 90% control of apple pests. 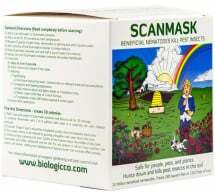 It also has a positive effect on fungal diseases like fire blight, sooty blotch and flyspeck.